Interested in the reality behind Whole Foods Market's finely crafted image? We have seen scandals uncovered concerning their exploitation of prison labor, from "asparagus water" and rigged prices to mis-labeled ingredients. 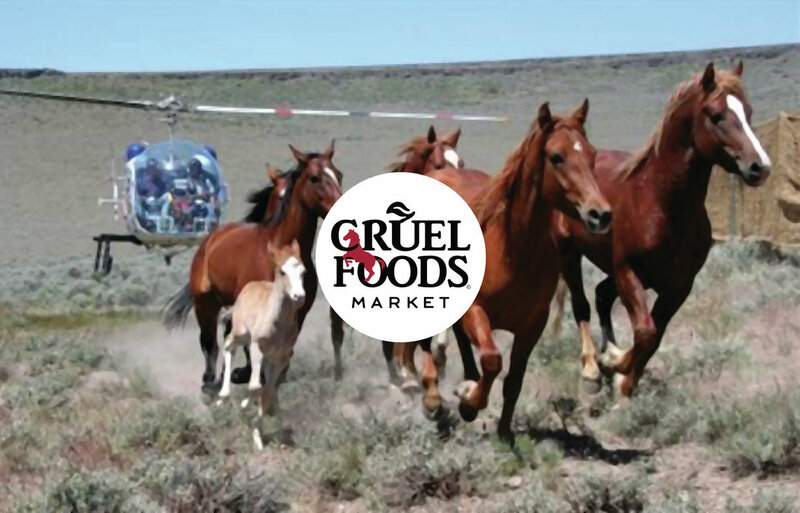 While the anti-trust or anti-labor business tactics have concerned many for years, it's the repeated instances of animal cruelty, the killing of wildlife for "grass-fed beef" and other welfare issues that we would like to bring focus to. We started this website to educate the public, to show the media and cultural elites that integrity and true transparency is valued more than slogans and profit. Doesn't the public deserve the truth hidden behind the #Greenwashing & #Humanewashing spin? We have now seen multiple investigations by different groups exposing the cruelty behind the "humane" image of Whole Foods Market. Have you purchased turkey products from Diestel and feel misled by Whole Foods and the farm? Please respond to this survey by lawyers working to hold them accountable for deceptive advertising. Take a look at our news page or connect with us on our facebook page. Please use the form on this page if you are an employee or vendor that has info to share- your input is valued and will be sent to the appropriate groups or investigative journalists. Your identity will be protected, not shared with others without your explicit approval.